Nobody desires to be a victim of a motorcycle accident although we are prone to accidents. Motorcycle accidents can happen in a twinkling of an eye and leave you severely injured and/or traumatized. 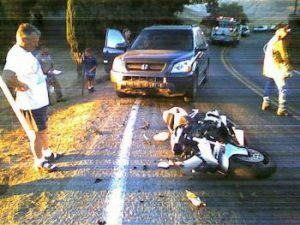 When this happens, you deserve to be compensated for the damage and that is how a motorcycle accident attorney comes in. Our motorcycle accident attorney in Norwalk will see to it that you are compensated in full following the right legal processes. Do you live in Norwalk, CA, or were involved in the motorcycle accident here? You can hire an expert motorcycle attorney at Rawa Law group. Rawa Law Group is not just a legal firm but a superior legal firm that has built a reputation for itself over the years. At Rawa Law Group, we take the advocacy of accident victims serious. We have a standby team of the most experienced motorcycle attorneys in California that are at your beck and call. Our services are doled out by highly experienced attorneys and we have a combined experience of more than 50 years in this business which has seen us recover several hundreds of millions for our clients in the past. When you employ our services, we have a few packages that make us stand out. We offer free case evaluation and that means you pay nothing to us as upfront charges until after we must have won your case. We also offer our clients sound legal advice without any concealed charges. At Rawa Law Group, we ensure that we work hand in hand with you thereby keeping you updated on everything we do as per your case. Our attorneys are also available to make a home or hospital visits when necessary. Want to hire an expert motorcycle accident attorney Norwalk, CA? Our office is at the address below.